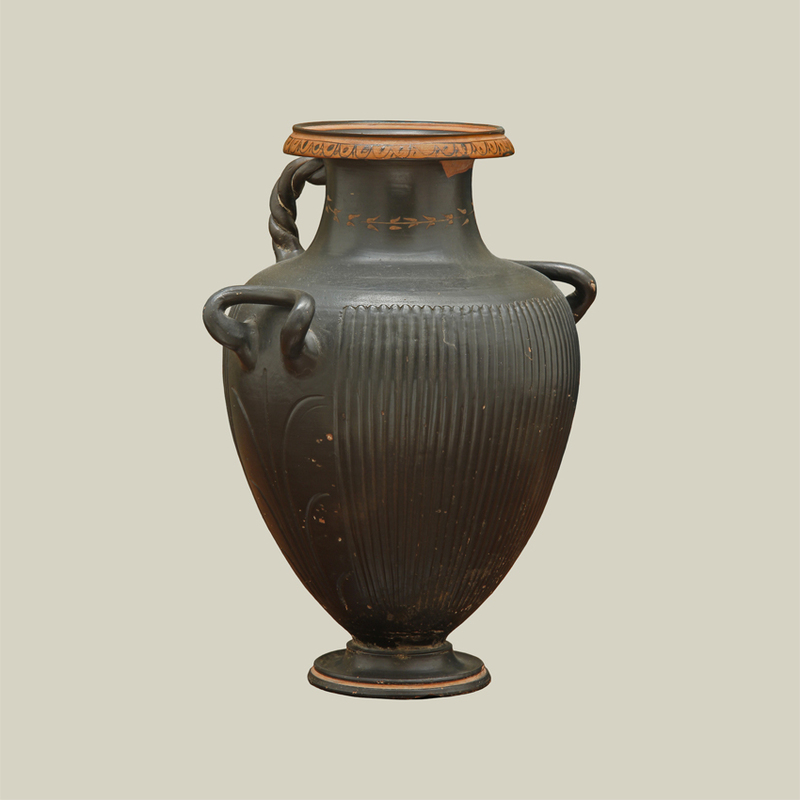 GREEK BLACK-GLAZED HYDRA; with vertical ribbing on the body and a grooved palmette below the horizontal handles, a vertical twist-handle, an applied laurel wreath encircling the neck, and dotted ovolu on the rim. Traces of gilding. South Italy. Circa mid 4th century B.C.